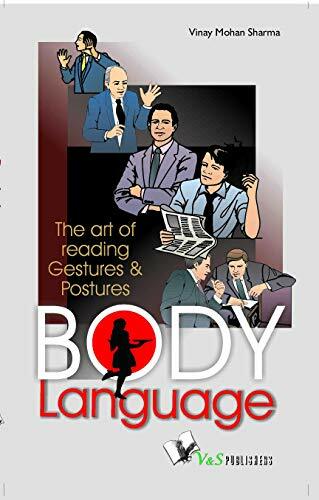 [PDF] Body Language: The Art of Reading Gestures and Postures | Free eBooks Download - EBOOKEE! Description: Communication is not always through sound or language. Much can be said with gestures and movement of eyes. In fact, more often than not, it is the body language that 'says' more than words. Now discover all the finer points and the nuances of body language in this masterly work. How does a thumb gesture display dominance, superiority and aggression? How does dilation of eyes send a romantic signal? What does a sideways glance indicate? Given these incredible insights, the book can prove to be of immense use for professionals like advocates, doctors, policemen, judges, salesmen, politicians, judges, executives, bureaucrats and customers etc - in short, people who are essentially in public dealing. But then, it is for all, a true guide for analyzing behavior and attitudes. 2017-11-14[PDF] Udemy - Master The Art of Body Language & Boost Your Confidence! No comments for "[PDF] Body Language: The Art of Reading Gestures and Postures".